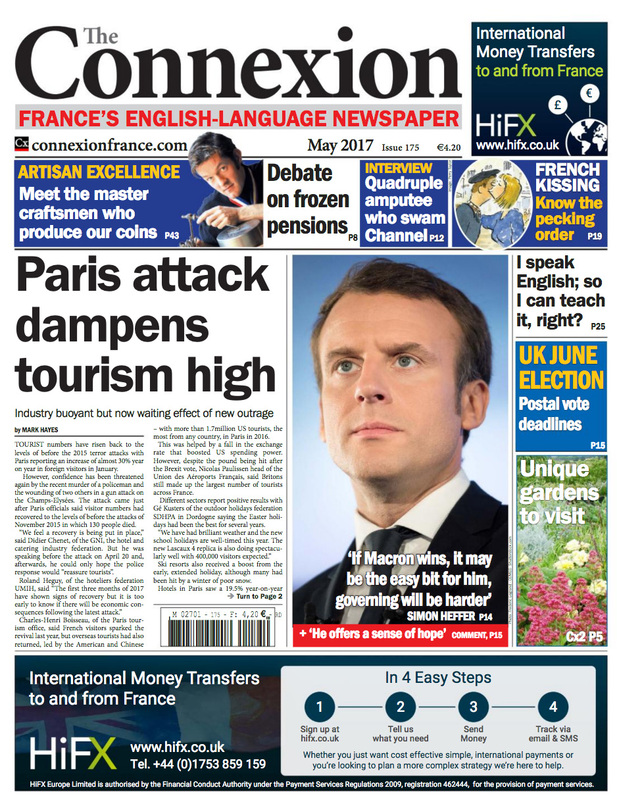 Un article en anglais dans le journal « The Connexion – France’s English-language newspaper – May 2017. WE DO not give a thought to everyday coins, yet the work of a médailleur in designing, engraving, and then minting medals and coins is far from mundane; it needs a rare combination of complex skills and a know-how passed down from generation to generation. The design process is pains-taking, with research and client consultation before the drawings are done. Sculpted in plaster using bas-relief techniques, they are coated in resin for a mould, from which a steel die is created. Surface details are finished by hand before the die is used to strike medals or coins. In the workshop of a master médailleur, the use of machines, known in English as ‘punches’, is limited. A “reduction punch” tool may be used to reduce the scale of a die to the size of the real object, enabling the craftsman to sculpt in greater detail than on a small model. This technology has existed since the turn of last century — yet the punches used to make the steel die have not changed much since the 16th century. There are about 150 artisan engravers, chisellers and medal-lists active in this field in France today. 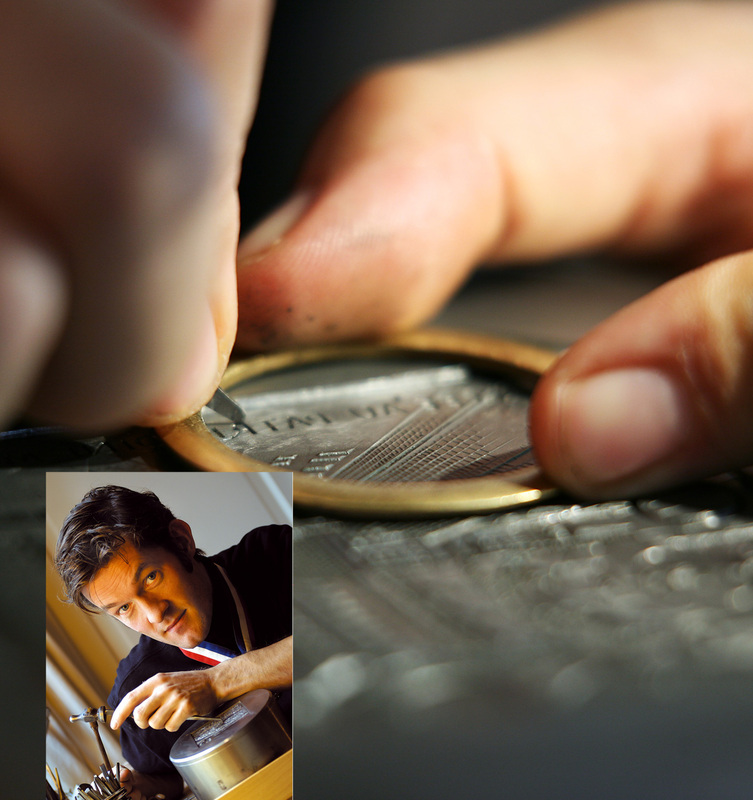 Some have independent workshops, using tools handed down from artisan to artisan through the generations; others are employed in larger organisations, notably in the coin, medal and engraving workshops of the Monnaie de Paris, where modern technology plays a more significant role. In whatever setting a médailleur works, theirs is a skill-set that, quite literally, has currency around the globe. Médailleurs need design flair; a steady hand; an eye for detail; and a love of working metal. Training can be in one or more of a number of disciplines, but engraving is indispensable. For anyone interested, entrylevel is a Certificat d’aptitude professionnelle (CAPs) in ornamental engraving, design engraving, and metal stamping, each take three years, while bronze chiselling takes two. Two-year Brevets des métiers d’art (BMA) are available in goldsmithery and silversmithery. In Paris, Ecole Boulle for fine arts and crafts and applied arts offers a three-year Formation métiers d’art (FMA) in metal-work and a two-year Diplôme des métiers d’art (DMA) in arts of our environment, with an option in ornaments and objects. 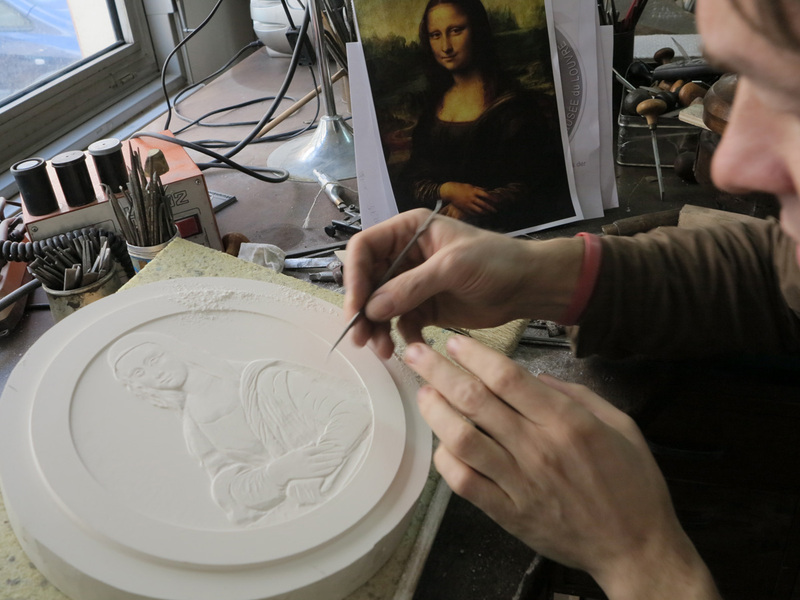 For 10 years, Monnaie de Paris has worked with several colleges to provide support and training, particularly in engraving, while independent médailleurs may offer apprenticeships, shadowing, or other training. WITH works in the Elysée Palace in Paris and other countries’ state offices, medal engraver Nicolas Salagnac also touches the lives of ordinary people with a special occasion or achievement to treasure. From his small atelier in Villeurbanne, Lyon, he produces moulds and stamps for high-quality medals and in 2000 was named as best craftsman or Meilleur Ouvrier de France. But this was not part of a life-long dream. As a child he loved to draw, to do craft and DIY, and his grandfather, a master cabinet maker, told him that one day he would go to Ecole Boulle (see above) in Paris. Nicolas had never heard of it but, when his interest in school began to wane before sixth form, he saw it would allow him to use his hands to create beautiful objects. He intended to follow in his grandfather’s footsteps by becoming a cabinet maker, but once admitted to Ecole Boulle it was the metal engraving course that fired his imagination. He said: « In turns out engraving suits my character perfectly in that it involves painstaking work on tiny objects. Once I had started there was no stopping me ». Having completed an internship in jewellery design, he was approached by medal engraver Claude Cardot, Meilleur Ouvrier de France 1972, about a post with FIA in Lyon, replacing a retiring engraver. He worked there for nine years until, frustrated by increasing demands to « work ever quicker and more cheaply to compete with the low-quality items coming out of China », he decided to set up on his own. Nicolas Salagnac admits he is a « terrible businessman », but says his Jack of commercial sense is a « bounty ». Medals are about more than mere recompense. « They are the predecessor of our modern day business cards. People would be given them by dignitaries they had met, and would treasure them for the rest of their lives. He strongly believes in transmitting skills and knowledge. `At one time, master craftsmen guarded their professional secrets jealously but we have to pass them on to enable them to survive, grow and evolve ». He teaches at a lycée in Jura and retains links with Ecole Boulle, as well as participating in other activities designed to pass his passion on to young people, such as the European artistic crafts weekend at the start of last month. He is one of only a few in his craft and, asked what advice he would give for aspiring médailleurs, he laughed and said: « There are not many of them, as ours is a rare craft, but for anyone who is thinking about engraving, to do it well, they need first to want to do it, to be passionate about it’: Drawing and sculpture are fundamental skills, and a keen eye for detail is indispensable. Beyond that, he suggests would be engravers go out and meet master craftsmen, to learn more about their work, and show what they are capable of. This is, after all, precisely how he found his own place in the world of engraving.